The easy and secure way to store you dinghy whilst under way. Sockets and pad-eyes are attached to the swim platform or deck. 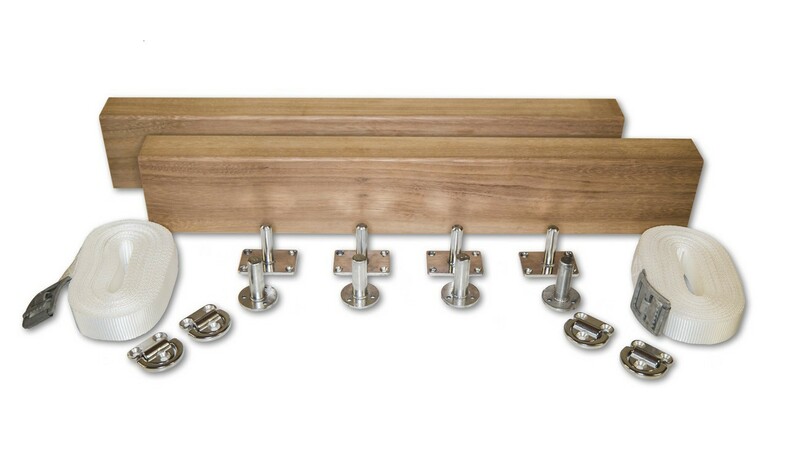 The Plugs are attached to the wooden supports so that the dinghy can be stored securely using the straps and pad-eyes. The platform remains free of clutter when dinghy is in the water, the wooden supports are only plugged into place when required. 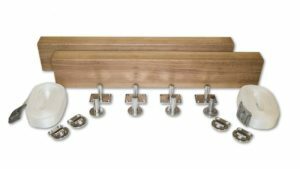 The wooden support can be cut to suit any boat profile. (delivered as shown in picture). Delivered ready for mounting including pad-eyes and straps for securing the dinghy.